Книга по шитью в стиле квилта. Создайте свой собственный шаблон для шитья лоскутного одеяла. Sew (and design!) graphic paper-pieced patterns! Learn about every stage of the process with piecing basics, a guide to pattern design, and choose-your-own-adventure design prompts to create your own FPP patterns. 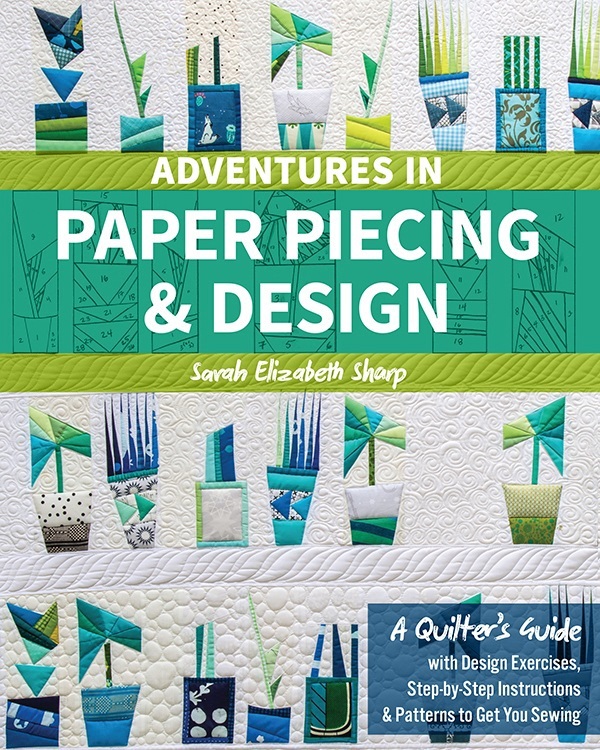 With an annotated overview of the author's best FPP methods, countless tips, and 30+ paper-pieced quilt blocks plus 7 design exercises to put your skills to the test, you'll have the tools you need to thrive when confronted with any paper-piecing challenge!